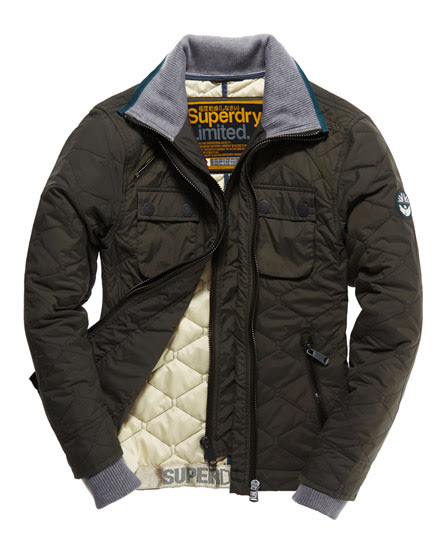 Superdry men’s Nylon Quilt jacket. Inspired by classic quilted motorcycle jackets, the Nylon Quilt jacket features a double layer zip fastening, double collar, four front pockets and ribbed cuffs and inner collar lining. Inside, this jacket is finished with a contrast colour lining and has a single inside pocket. The Nylon Quilt jacket is finished with a trademark Superdry embroidered shoulder logo and a Superdry 54 logo badge on the left sleeve. 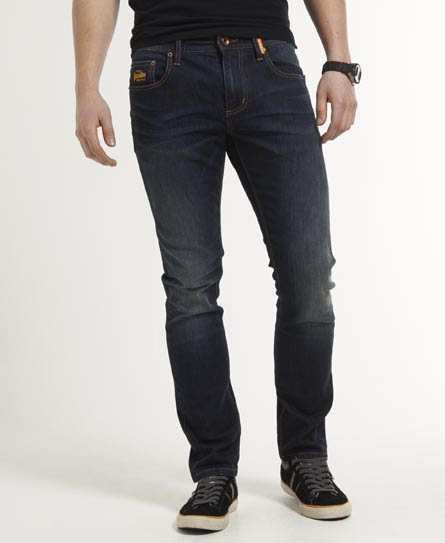 Superdry men’s Corporal Slim Jeans. These denim jeans have five pockets and feature an embroidered Superdry logo on the front, on the belt loop and a leather logo patch on the back. 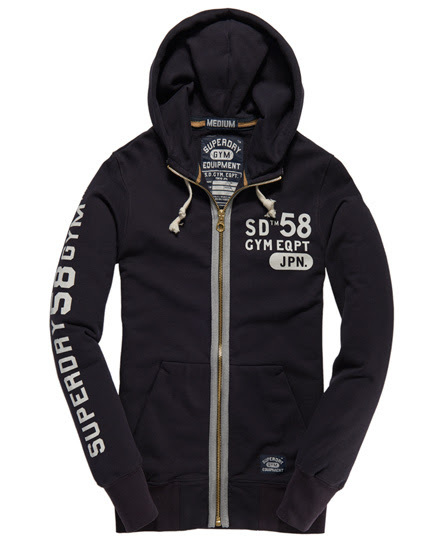 Superdry men’s Pommel zip hoodie. A classic zip through hoodie featuring a superdry sleeve and chest print design, drawstring hood and two front pockets finished with a Superdry logo patch. 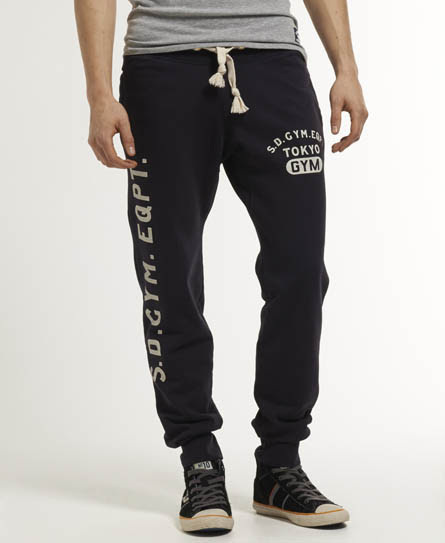 Superdry men’s Pommel Joggers with drawstring waist. These jogges have three pockets and elasticated leg cuffs. They also feature a Superdry logo on each leg and an embroidered logo patch above the back pocket. Superdry men’s Fuji Fixed Hood jacket. A hooded, lightweight quilted jacket featuring zip fastening, two front pockets and sleeve logo tabs. Superdry men’s Panthers Field crew neck top. A classic crew neck sweat top featuring a Superdry chest logo and a finished with a Vintage Superdry sleeve logo tab. Superdry women’s Lace Skater dress. A long-sleeved short dress featuring feminine lace shoulder and back panels. The Skater dress also features two side pockets and a ruched waistline. Superdry women’s Super Campon boots. 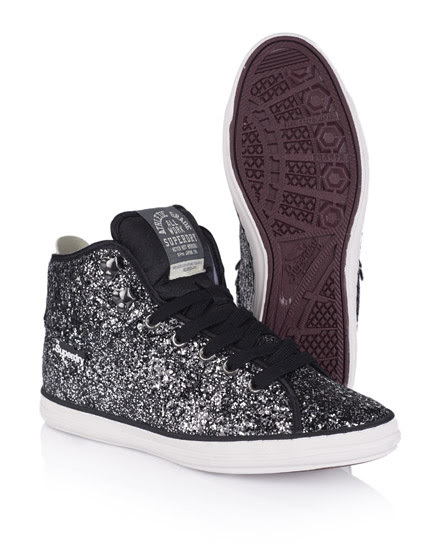 A classic high-top design boot with a concealed heel wedge, featuring glitter finish, satin tongue, webbing heel detail and finished with a Superdry heel logo. Superdry women’s cagoule. A classic design zip-through cagoule. 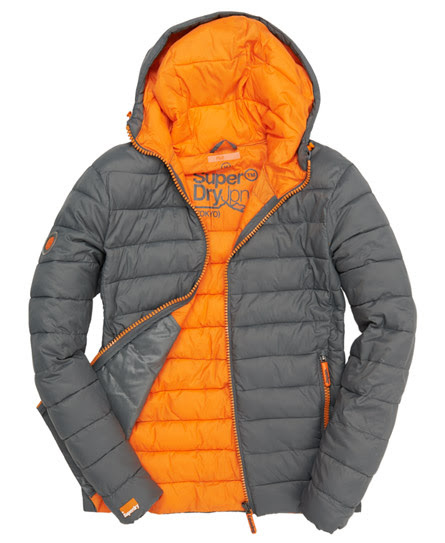 Featuring full length zip, drawstring hood, drawstring hem, two zipped front pockets and woven Superdry shield logo. This cagoule also benefits from a mesh lining. Superdry women’s Standard Blue skinny denim jeans. These skinny fit denim jeans feature the classic five pocket design, zip fly fastening, contrast pocket trim and a Superdry printed leather waistband patch. Superdry women’s Super Hooded Raincoat. A classic raincoat with contrasting sleeves, double breasted design, removable hood, embroidered Superdry shoulder logos and two front pockets. 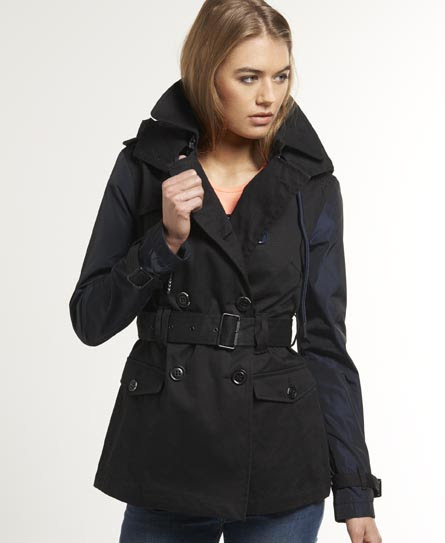 This raincoat also has a waist belt and double rear vent. Inside this raincoat is part lined with contrast colour bound seams. Superdry women’s Retro Slub long-sleeved Kimono T-shirt, featuring a Superdry embroidered logo, rounded off rear hem and contrasting coloured sleeve detailing. If you have any questions about the Recommended Superdry Products, or would like to know anything else about the Recommended Superdry Products, please get in touch and feel free to tell us! This entry was posted in Special offers and tagged Clothing, Men, Women by admin. Bookmark the permalink.